Spectacular three bedroom three bathroom home in the Millennium Tower. 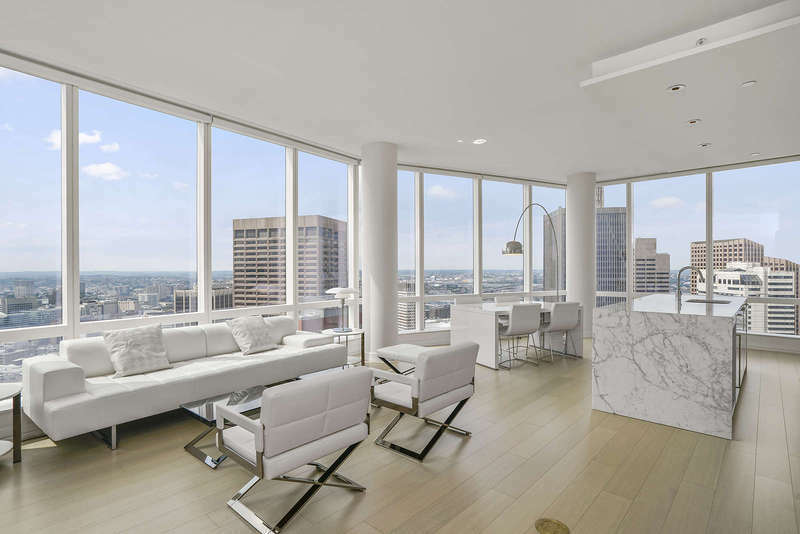 This 43rd floor “Grand” corner residence boasts floor to ceiling windows with panoramic views of the Back Bay, Charles River, Beacon Hill, Downtown and The Boston Harbor. Stunning open living/dining room with a lovely gas fireplace and an open gourmet cook's kitchen with large marble island. Large master bedroom boasts four closets, views of the Custom House & Financial District and a luxurious en-suite marble bath. Second and third bedrooms are sun-drenched and spacious with beautiful views as far as the eye can see. Elegant common areas including billiard room, outdoor terrace, heated pool, jacuzzi, private residents lounge with a fireplace and bar, movie room, spa, state of the art gym, and PABU restaurant services. Two valet garage parking spaces included. Located in the heart of Boston enjoy everything this World class city has to offer right out your front door. Luxury living at its finest!